In order for Charles Leclerc to succeed in his first season with Ferrari in Formula 1, the Monegasque driver must try to remain patient and not expect victories to come right away to avoid disappointment, according to his manager, Nicolas Todt. Last year, Ferrari made the decision to end their association with Kimi Raikkonen, with Leclerc coming in as his replacement from Sauber. The 21-year-old earned the move after an impressive opening season in F1, and even though he will now be in a better car with the Prancing Horse, Todt has urged him to not expect immediate success. "Charles has never been on the podium yet because he did not have a car to do it," Todt told Corriere dello Sport. "The mistake that Charles must not commit is to be impatient. He is only 21 and he will have to handle the disappointment of defeat, which he feels even if when he finishes second. "Charles always sets himself very high goals, but it will not be a problem for him." 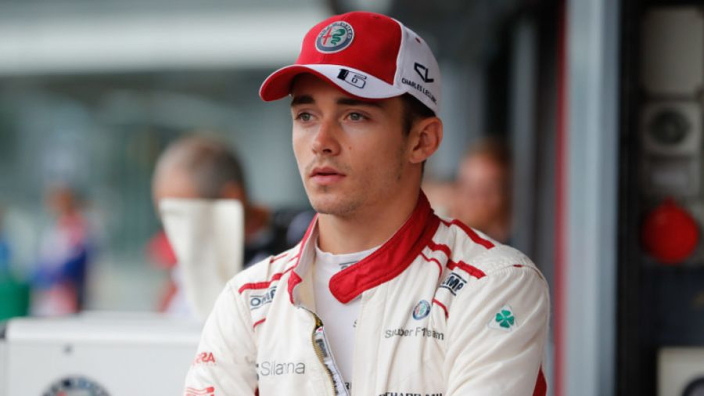 The decision to promote Leclerc at such a young age is a deviation from the norm for Ferrari, with more experienced drivers favoured over younger ones traditionally, but Todt has revealed the team's reasoning for the change of tactic. "Ferrari understood that it was worth investing in young people and today they are beginning to reap the rewards," added Todt.